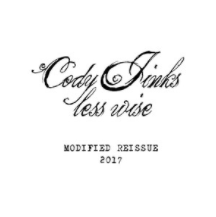 A tip of the cap to the boys at Whiskey Riff for turning me on to the music of Cody Jinks. They mentioned him in one of their podcasts that I heard and since then I’ve been diving into Cody’s music. Last year Cody put out some new music. It’s right in that traditional country vein. Or more in that Texas Country world of today, which is kind of what country music used to be. I love Texas Country. It’s really it’s own thing in the music world. I know they have all kinds of music going on down there, but their country sound is right on point. Here is one of the songs off of Cody’s latest album. This one seems to be getting the most attention although the entire album is full of good songs. I think what’s going on with this song is that we have a guy that can’t help, but to keep moving. He has tried the settling down thing. He’s tried doing all the right things or the common things in the past. But after all those years he’s realized that he is going to live life a certain way. There’s no time to think about what he screwed up on. Losing women that he loved. Losing time with people he cared about. But he’s accepted it. I would say that this is kind of sad song. It’s almost a reluctance to move on with the life you know is right for you. I’ve been listening to him for a few years now, and can’t get enough of his music. Traveled out of town to see him and man was he great! I can’t wait until he comes back around again this year. Must see concert!